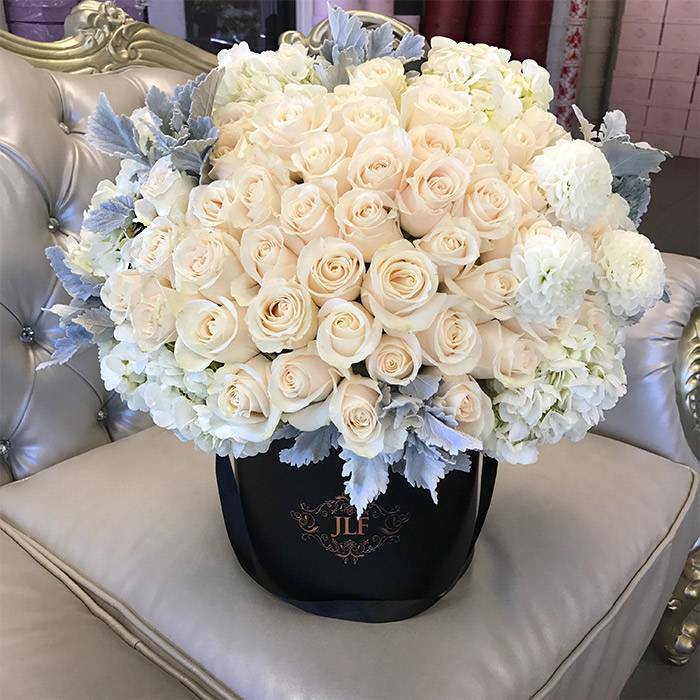 This incredible and stunning arrangement was designed for the social media queen, Kim Kardashian. The design carries a modern vibe with classic undertones. Classic white roses stacked together creating a dome shape next to crisp white hydrangeas, dusty miller leaves and beautiful dahlias.